Autoimmune disorders are on the rise just because our lives have become fast paced and stressful compared to our ancestors. The etiology of autoimmune diseases is multifactorial including genetic, environmental, hormonal, and immunological factors. Next to improved hygiene and a gross reduction of infections, changes in dietary habits are one of the most evident Western lifestyle factors potentially associated with the increase in autoimmune diseases. Growing evidence suggests that particularly a typical ‘Western diet’, rich in saturated fat and salt and related pathologies can have a profound impact on local and systemic immune responses under physiologic and autoimmune conditions such as in multiple sclerosis (MS). “Can stress be the cause of autoimmune disease?” is an often launched question in our days. Physical and psychological stress has been implicated in the development of autoimmune disease, since numerous studies demonstrated the effect of sundry stressors on immune function. Moreover, many retrospective studies found that a high proportion (up to 80%) of patients reported uncommon emotional stress before disease onset. Unfortunately, not only does stress cause disease, but the disease itself also causes significant stress in the patients, creating a vicious cycle. How stress affects your body? Stress is primarily a physical response that helps you rise to the occasion. At other times, it’s simply overwhelming. Whatever the case, if it’s chronic, it can take a toll on your immune system. When you are stressed, the body thinks it is under attack and switches to ‘fight or flight’ mode, releasing a complex mix of hormones and chemicals such as adrenaline, cortisol and norepinephrine to prepare the body for physical action. This causes a number of reactions, from blood being diverted to muscles to shutting down unnecessary bodily functions such as digestion. The challenge is when our body goes into a state of stress in inappropriate situations. When blood flow is going only to the most important muscles needed to fight or flee, brain function is minimised. This can lead to an inability to ‘think straight’; a state that is a great hindrance in both our work and home lives. If we are kept in a state of stress for long periods, it can be detrimental to our health and could be a trigger of autoimmune disorder. Health problems can occur if the stress response goes on for too long or becomes chronic, such as when the source of stress is constant, or if the response continues after the danger has subsided. With chronic stress, those same life-saving responses in your body can suppress immune, digestive, sleep, and reproductive systems, which may cause them to stop working normally. Moreover, studies are linking stress to a direct connection to autoimmune diseases, or conditions that cause the immune system to attack healthy tissues. Under sustained, long term stress, you also can develop cardiovascular problems, including a fast heart rate and heart disease, as well as gastric ulcers. You will also be at greater risk for type 2 diabetes, various cancer and mental decline. How can you manage your stress levels? Stress reduction interventions can have a positive therapeutic effect in autoimmune disease patients. 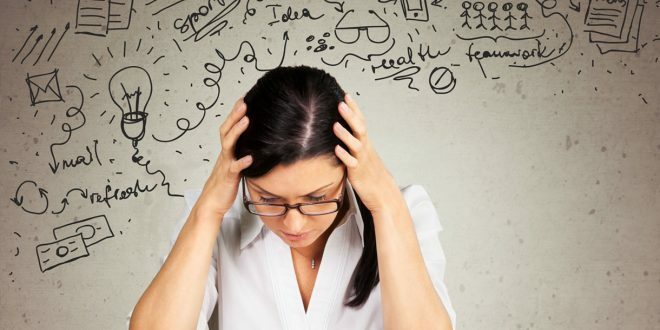 Physicians and patients must recognize the potential for stress to impact autoimmune diseases and how stress management should be considered in a multidimensional treatment approach. In the overall research, and while doing my own as a patient, nutrition and exercise still seem to be the best ways to prevent and reserve autoimmune diseases. It makes sense, doesn’t it? If we throw our bodies out of whack, the natural way to get back into a normal rhythm is through healthy eating, movement, meditation and sleep that we already require to be healthy. To learn more about how to manage your stress levels naturally through dietary intervention and lifestyle recommendations please contact me and we could discus how my nutritional protocol could help you.